China is a hotbed for LEGO® news today as the LEGO Group announces special regional educational course for Chinese schools and region specific LEGO sets. Starting next year, Chinese students will be able to experience STEAM courses, which heavily use LEGO for learning. More on that below, but the press release also states the also states the Chinese market will be receiving special LEGO sets catered towards the Chinese market. The Chinese New Year’s Eve Dinner set will be based on the popular Chinese tradition and will be similar to the Thanksgiving, Christmas and other seasonal sets available else where. It hasn’t been revealed if these will be made available beyond the Chinese market. Read more in the press release below. The LEGO Group announced today at the first China International Import Expo (CIIE) that it will launch its first elementary school STEAM* courses for Chinese students from next year, enabling local students to become active, collaborative learners and build 21st century skills. The elementary school STEAM courses are the result of close collaboration between East China Normal University Press (ECNUP), LEGO Education and Chinese STEAM experts to ensure it complements existing courses. LEGO Education products including Simple Machines Set, Creative Suitcase, Space and Airport Set and Creative LEGO Brick Set are used in the courses to support teaching in an inspiring, engaging and effective way. Scheduled for test in primary schools in Shanghai later this month, the STEAM courses with consist of student textbooks and teacher guidebooks. It is be officially available from April 2019. The new sets celebrate iconic new year traditions. Chinese New Year’s Eve Dinner shows a Chinese family reuniting to celebrate the lunar new year in a traditional home. Often performed during Chinese New Year, Dragon Dance is a symbol of the Chinese culture and is believed to bring good luck to people. The Dragon Dance set features a team of dragon dancers, with a minifigure dressed as a cute pig celebrating the coming Chinese New Year of the Pig. China is a strategic growth market for the LEGO Group which has been engaging with Chinese children and parents with its system in play since 1983 when the LEGO sets were sold in China. Over the past 35 years, the LEGO Group has been building brand and geographic presence in the country. It has opened 47 LEGO branded stores in 16 cities and 157 LEGO Education centers in all provinces, municipalities and autonomous regions in China. 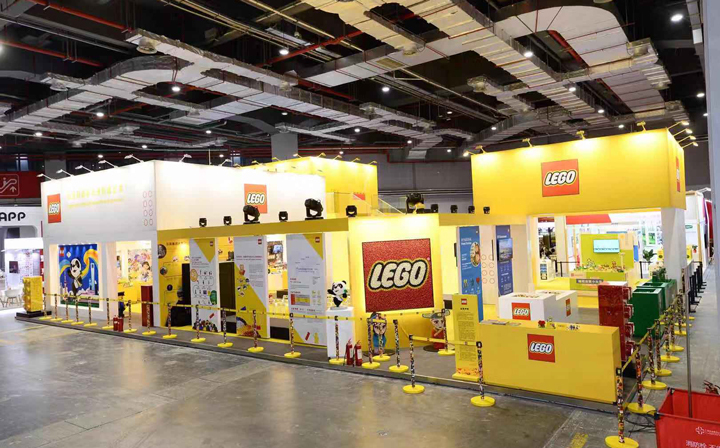 The LEGO Group is participating in the first CIIE with a 378-square-meter booth that showcases a large line-up of its toy and education products and curriculum. The booth also features play tables where visitors can use their imagination to build their own creations with the LEGO bricks which are celebrating its 60th anniversary this year. CIIE is jointly sponsored by the Ministry of Commerce of China and the Municipal Government of Shanghai and held at the National Exhibition and Convention Center (Shanghai) from November 5 to 10. 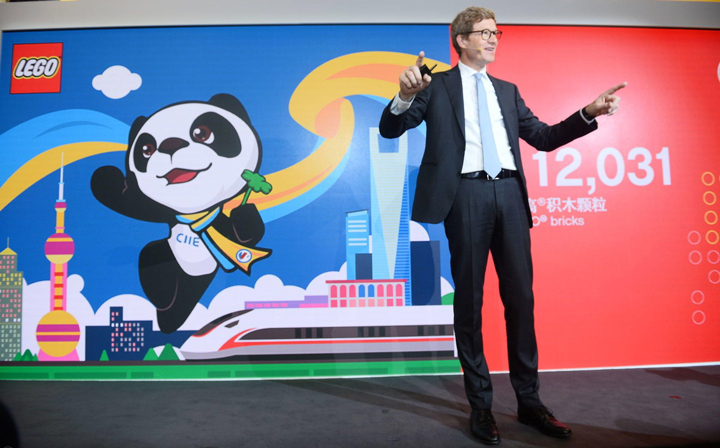 The LEGO Group also teamed up with Chinese stakeholders to organize two seminars focusing on “How Play in Education can Foster Creativity and Innovation” and “Responsible Marketing to Children in Digital Age” during the CIIE.